If you think the faces who occupy the drives in the 'big four' F1 teams seem a bit familiar, that's because they are. We're now into the third season in a row of the same drivers in the same seats at Red Bull, McLaren, Ferrari and Mercedes. But before you think that F1 is losing its reputation for musical chairs, as well as its notorious 'silly season' of rumour and counter-rumour about who is going where in the future, for 2013 all of this will change. None of the teams I listed has its drivers' line up set, or even reasonably clear, for next year. This includes Ferrari: while Fernando Alonso is under contract to drive for them all the way until the end of 2016 there is an ever-increasing number of hats in the ring for who'll be partnering him. Here I assess some of the runners and riders in the Prancing Horse seat race. First of all, let's not forget that there is an incumbent. What does Ferrari want from the guy who'll drive alongside Alonso from 2013? Well, ideally it wants someone who can co-exist with the Spaniard, and not 'rock the boat' unduly. The Ferrari-Santander-Alonso plan for glory is a clear one. But, with this, Ferrari is an outfit that wants to win constructors' titles as much as drivers' ones. Therefore, most probably, it requires someone humble enough to accept 'the role', but also good enough to bring home big points and be close to Alonso's pace. Felipe Massa has shown increasing willingness to perform the first task, the key question for deciding his fate is whether he's doing the second part. And this is a lot of the reason speculation over next year's occupant of the remaining Ferrari seat is happening in the first place. 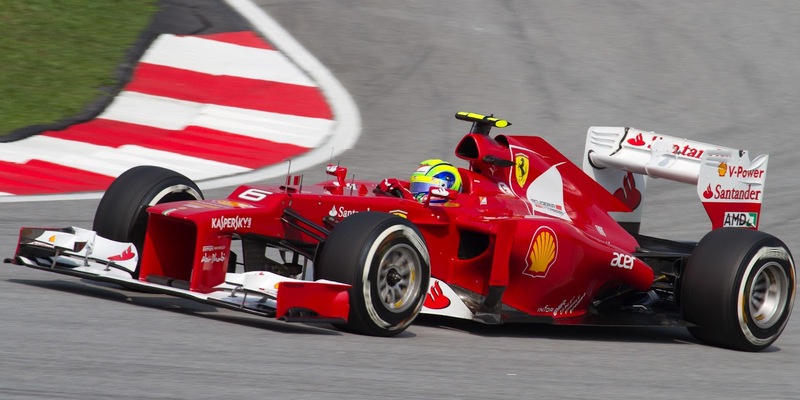 Clearly, over the past two years Felipe's Ferrari performances have been sub-standard. That he became the first Ferrari driver to go a whole season without taking a podium finish since 1981, and in the season's end had accumulated but 46% of Alonso's points total, demonstrates this, and the likes of Stefano Domenicali and Luca Montezemolo have on occasion stopped only a syllable short of saying so publically. Speculation over why Massa's performance has come to be this way is varied and is likely to be down to a combination of many of the suggested reasons, though the debate needs not detain us here. But Massa's 2012 thus far hasn't been the disaster some have claimed. While in three of the six rounds he's barely been in Alonso's ballpark, in the other three (China, Bahrain and Monaco) he's pretty much matched his team mate punch for punch, and in the most recent of these looked a lot like the guy who so nearly won the drivers' title in 2008. Such performances delivered regularly this year may be just enough to save him. But Felipe has a couple of problems. One is, it's possible that all of this is already too late. The days of the 'silly season' for the following year starting in late July are well in the past, and more and more decisions are made, even contracts are signed, a year or more in advance. Indeed, Alonso's Ferrari deal, intended originally to start in 2011, was signed in 2009. Frank Williams is alleged to have made the decision to ditch Damon Hill for 1997 in late 1995, and not even winning the title in 1996 altered his fate. 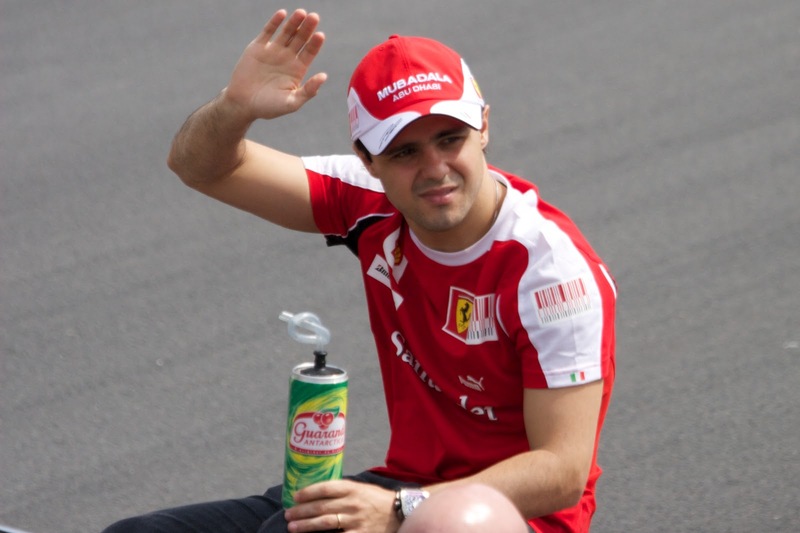 So it could be the case that Massa's Maranello future (or lack of it) has already been decided. And even if it hasn't it's also the case that 2013, were Massa retained, would be his eighth season at the Scuderia. With that in mind, the 'time for a change' feeling may become overwhelming at Maranello. 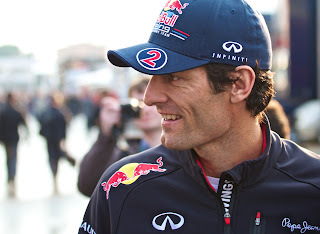 The Mark Webber to Ferrari rumour is one that never seems to go away. And it's clicked into renewed life recently; one Spanish media outlet going so far as to say that such a deal for next year has been done. And Webber in response to this, while denying anything had been signed, conspicuously did not rule anything else out. And it's all understandable: as mentioned, Ferrari is looking for someone who will be quick, rack up big points, but not sufficiently contrary or complex to rock the boat unduly on the (inevitable) occasions that Alonso beats them (it's not for nothing that this time last year the team was sounding out Jenson Button before he commited himself to McLaren long term). On this basis Webber ticks all of the boxes, and he and Alonso are on friendly terms. And, icing on the cake, he's not under contract at his current abode Red Bull beyond this season. At the age of 36 (next year) Webber would be strictly a short term solution, but he'd be a very good short term solution. The two pivotal questions in all of this are would Webber want to leave Red Bull for Ferrari, and would Red Bull want to see Webber go? To take either in turn, it has to be said that, even though the Red Bull dominance of 2012 isn't quite as acute as in previous years, in recent times the Bull has been a much safer bet to carry a driver to victory than the Prancing Horse (a fact that Christian Horner was only too keen to point out when this subject was raised with him). But on the other hand, Webber doesn't always give the outward impression of feeling altogether at home at Red Bull, and has been known to express suspicion that he's 'the other driver' there (the 'not bad for a number two' radio call the most prominent example). You could argue though that on that front things are hardly likely to improve at Ferrari alongside Alonso. And while Ferrari doesn't have the same extent of over-strung, over-political environment it once did, you wonder (with a bit of trepidation) quite how some of Webber's more outspoken moments would go down there. But, despite everything, Ferrari is still Ferrari - that team has an intangible pull that no other concern can match. Thus Webber may well see a year or two at Maranello as the perfect final act of his F1 career. Further, you suspect that Webber would relish the opportunity to test himself against Alonso, who he clearly rates very highly, as well as to ruffle his feathers whenever he can. Having a Ferrari stint on his CV will also increase his post-F1 earning potential greatly. However there is little sign that Red Bull would be a wiling accomplice in all of this. While the team's preferred option would be to take graduates from its young driver programme its latest products Daniel Ricciardo and Jean Eric Vergne haven't yet made an irrefutable case for promotion, and the most logical thing for the Bulls to do would be to try to hang on to Webber in the meantime. Plus, in Adrian Newey and (get this) owner Dietrich Mateschitz, Webber has two key allies in his current team, neither of whom will be content for him to leave lightly. But, while they can woo, in the end it won't be their decision. It'll be Webber's. Wind back to the aftermath of this year's Malaysian Grand Prix in March and Sergio Perez's imminent move to Ferrari seemed a no-brainer. 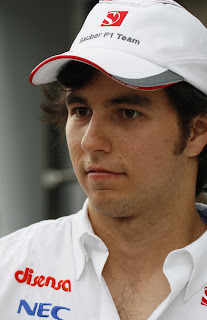 Perez, a member of Ferrari's young driver programme, had put in a 'star is born' performance in that race in hunting down leader Fernando Alonso in perfidious conditions, and only a late error deprived him of a win (it also helped that Massa was near lapped by the pair of them that day). Indeed, some had the move happening before this season was out. Well in F1 nothing ever stands still for long. But four races on no one seems quite so sure about Perez's Ferrari graduation. Not for 2013 in any case. For one thing, it is inescapable that Perez is inexperienced: he's only started 23 F1 races in his life and is but 22 years old. Furthermore, while his debut year was impressive, there were rookie errors in there: he was penalised for a clash with Sutil in China, lost his front wing in Turkey, spun in Germany and got drive through penalties in Hungary and Spa (the former for passing under yellows, the latter for a clash with Buemi). And, while it sounds harsh, it was another driving error that cost him a possible win in Malaysia this year. While Ferrari is a team that has always preferred to develop champions rather than hire them (Alonso, amazingly, is only the fourth world champion that Ferrari has signed ever) at the same time driving there is not seen as a job for a novice; it's probable that it wants more of a finished article than Perez currently is (and, on this basis, other names mentioned such as Jules Bianchi can be ruled out for now). And Ferrari will also presumably be wary that a too-early move to drive for the big team could ruin him. Furthermore, insiders are beginning to speculate that, perhaps, Perez has taken his eye off the ball a little since the Malaysian race and since the Perez to Ferrari idea has gained traction. Indeed, since then he hasn't scored a point, three 11th places plus a retirement are his lot. And the Sauber he has access to is a good one. You could argue that there's been bad luck in there, such as his Monaco qualifying crash which left him to start the race at the back, but at the very least it's probably all happened at precisely the wrong moment as far as a Ferrari drive for 2013 is concerned. Getting the gig a year or two after that seems more likely, should he knuckle down. This particular hat was thrown into the ring by Jackie Stewart, who stated in recent weeks that he feels Paul Di Resta would be 'a very good target for Ferrari'. 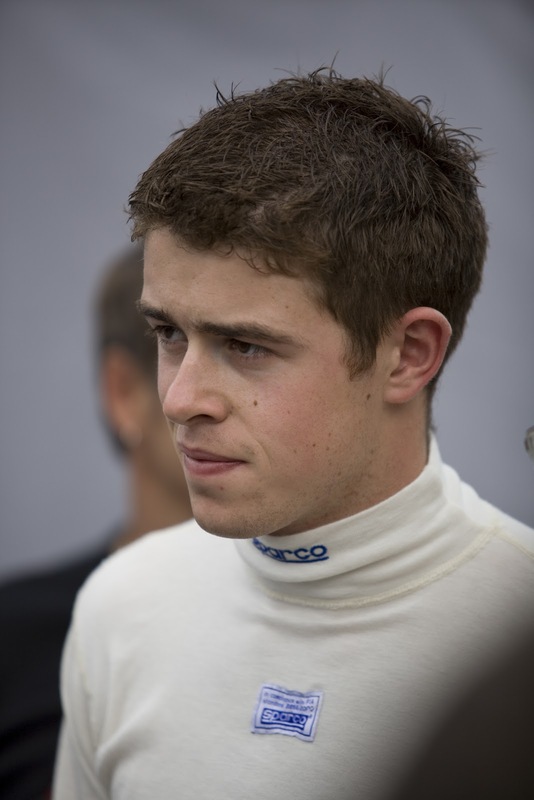 He's right: Di Resta has been a revelation in his year and a bit in F1. Throughout he's shown a smooth, polished and efficient style behind the wheel harnessed to a turn of pace and uncanny ability to bring the thing home and ghost into strong points positions, all reminiscent of Jenson Button. While he is at an almost identical point in his career to Perez, you suspect that Ferrari would right now be getting a much safer and more complete product than with the Mexican. And Di Resta is of Italian descent, which would play well, especially at a time when there are no Italian drivers in F1 (and some are critical of Ferrari's contribution to this state of affairs). But for all of Di Resta's qualities as a driver, it remains a relative unknown whether the vital final tenths of a second of pace or the ability to tough it out wheel-to-wheel with the best are there to the extent that Ferrari would be looking for. That he's outqualified the much-touted Nico Hulkenberg (another to be mentioned in dispatches as a Ferrari contender) four to two this year, as well as blew away the rapid Adrian Sutil in the first half of 2011 on the same measure, suggests that isn't a great deal wrong on the pace score. 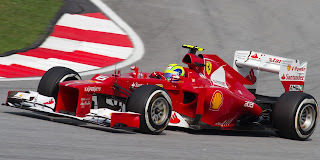 But Ferrari might nevertheless view hiring him as a leap of faith on such fronts. Then there's Perez, whose nose would seriously be put out of joint by a move for someone at a similar stage of his career. He (and others) would be entitled to ask what the point is in Ferrari having a young drivers' programme at all. And would Di Resta be wise to go to Maranello, particularly as a 'stop gap'? He has a long term relationship with the Mercedes marque, and with Michael Schumacher presumably not going on forever and Lewis Hamilton's future movements uncertain more permanent opportunities could soon manifest at both Mercedes and McLaren (you'd think he'd be near the top of both teams' wishlists if there was a vacancy), opportunities that could pass him by if he's busy partaking a Ferrari sojourn. All of this conspires to mean that Di Resta is a rank outsider only for the 2013 Ferrari seat. On talent Robert Kubica is a match for anyone in this list. Ferrari has already shown interest in recruiting him for a race seat (evidenced by the team's agreeing of a option with Kubica to join the team in the past) plus he comes with an all-important Fernando Alonso Seal of Approval. But, of course, there's a big problem. He hasn't driven any car in anger since a horrific rally accident in February 2011, and the extent to which his arm and hand dexterity will recover is as yet not totally clear. There has been a dearth of updates on the subject of his recovery in the past six months or so which, while I hope for the very best, frankly doesn't fill me with optimism. F1, necessarily, is a ruthless business, and the longer Kubica is out of the game the more Ferrari's reluctance to parachute him directly into a race seat will grow. And you'd have thought if signing him for a Ferrari race drive in 2013 was a genuine prospect he would have been pounding around Fiorano in a 2009 machine by now. And he hasn't been. 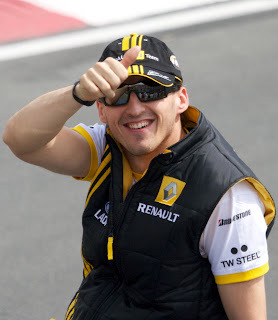 If Kubica does ever return to F1 it's looking increasingly likely he'll have to make his comeback elsewhere, or as a tester. I know, I know. But it might not be as crazy as you think. 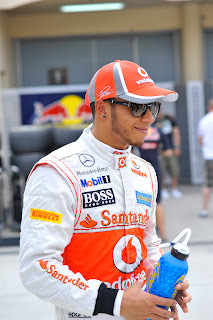 Lewis Hamilton is out of contract at McLaren at the end of this year, and doesn't always give the outward impression of being 100% content there, possibly frustrated at the team's persistent failure to provide him with a car and operations capable of a championship run (indeed, as recently as Monaco he gave his team what appeared to be a public 'hurry up'). Many, including Martin Brundle, have also speculated that Lewis may well want, and benefit from, a change of scenery having been with the Woking squad since his teenage years. So, is Ferrari an option? The obvious answer is 'no', given it would involve partnering Fernando Alonso and that partnership bombed so spectacularly at McLaren in 2007. And even without this it falls foul of the classic 'don't put two bulls in the same field' F1 rule (see Senna-Prost). Would Ferrari want the strife which seems an inevitable by-product of such a driver pairing? Would they also risk defying the wishes of their star player Fernando Alonso, and potentially those of sponsor Santander, and with it disrupt the 'plan' outlined above? And, from Lewis's perspective, on competitiveness Ferrari hardly seems a safer bet than McLaren right now. But, even with this, the move has a few things going for it (aside from the obvious Lewis Hamilton is an exceptional racing driver point). One is, the talk of he and Alonso being at loggerheads is grossly overstated. The two have a profound respect for each other, this is shown in their relationship away from the cameras as well as the mutual appreciation they sometimes express in public. And insiders point out that in 2007 Alonso's major McLaren beef was with Ron Dennis, not with Hamilton. And is it just possible that Alonso might be up for the challenge? I'd be immensely disappointed in him if he doesn't, after 2007, at least in some mental recess view taking on Lewis Hamilton in the same machinery as unfinished business. And this time it would be on his own patch, in an environment where his feet are well and truly under the table and there presumably will be no spanners in the works such as adapting to the Bridgestone tyres as in his McLaren year. And it's hard to imagine Lewis shirking the challenge should it be set either. Furthermore, the tifosi would love Lewis Hamilton. His all-action style, indefatigable spirit and supreme aggression in battle - all highly reminiscent of Gilles Villeneuve - are exactly what they look for in a Ferrari pilot. Lewis Hamilton to Ferrari is certainly a long shot. But stranger things have happened. This, I have to admit, is one that confuses me. In many ways it is hard to imagine Sebastian Vettel driving for anyone other than Red Bull. And even if that relationship was to end for whatever reason, joining Alonso at Ferrari wouldn't strike many as the most likely, or even the most sensible, course. 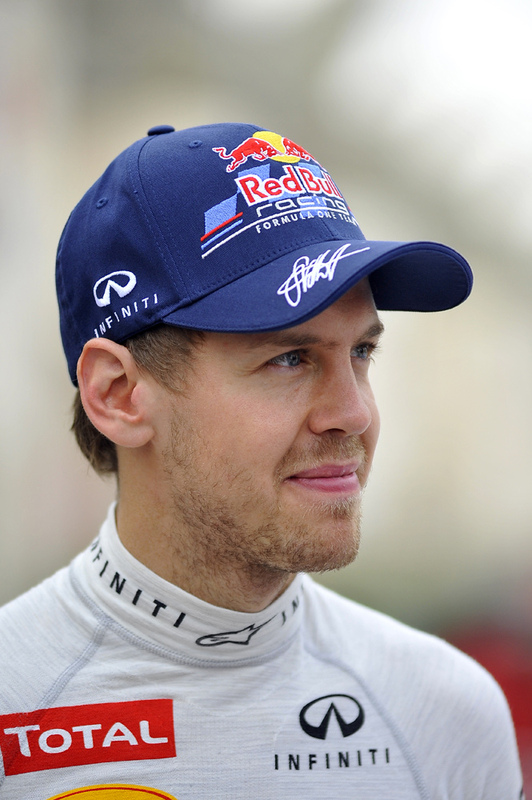 But a 'normally impeccable source' close to Ferrari says the team has a pre-contract agreed with Vettel for 2014. The pre-contract is is performance-related as well as is one that either party, i.e. Seb or the Scuderia, can exercise. If true, big if, then it puts a whole new gloss on the debate over the 2013 drive, and a 'stop gap' solution (such as Webber) would seem the most likely outcome, with the likes of Lewis Hamilton ruled out presumably. But is it credible? In F1, never say never, but genuinely it's hard to envisage a Alonso-Vettel driving partnership (take the Alonso-Hamilton scenario outlined above and subtract some of the mutual respect). Of course, both Michael Schumacher and Kimi Raikkonen found out that the Scuderia is not afraid to make its own arrangements when it comes to making sure it'll be in a strong position in its drivers' line up in future years, regardless of the current lead driver's wishes, but this scenario is different. Alonso is under contract to 2016 and committed to a long term spell with the team (which Schumacher wasn't) and the team is happy with him (and it wasn't with Raikkonen). And Red Bull is convinced it has Seb under (performance-related) lock and key for 2014 anyway, while Seb in public is denying everything. Otherwise, I'm tempted to leave this one in the file marked 'rubbish' for now. So, with all of these considerations what do I think is the most likely outcome? I think Webber will join Ferrari for a year or two (even though it's not obvious who Red Bull would replace him with), him keeping the seat warm for a more 'permanent' replacement such as Perez. Probably. But, shock apart, I see Webber as best candidate, and if not, I would go for Kovalainen. The last seasons spent in Lotus-Caterham have made him grow in autoconficence (exists this word?) and his drivings on this seasons are being very good. He's now a better driver and more mature than when he was at McLaren. Many thanks for the article, always a pleasant reading. "Further, you suspect that Webber would relish the opportunity to test himself against Alonso, who he clearly rates very highly, as well as to ruffle his feathers whenever he can. Having a Ferrari stint on his CV will also increase his post-F1 earning potential greatly." You've blatantly plagiarized that from Andrew Benson's BBC blog. Don't even try to deny it, it's beyond obvious. Pretend bedroom F1 journos are still subject to copyright laws, you know. "It would vastly increase Webber's post-F1 earnings potential and he would relish the chance to test himself against Alonso, a friend whom Webber regards as the best driver in the world. Webber would not expect to beat him - in fact, he would almost certainly have to go to Ferrari on the understanding that Alonso was number one - but he would enjoy ruffling the Spaniard's feathers from time to time, as he almost certainly would." Suspect that you will just take the easy way out and delete my comment but that won't delete it from the minds of the others who have seen it - I would advise manning up and talking responsibility for your plagiarism! Thanks for getting in touch. You’ll notice that I haven’t deleted your comments. Yes, I did use Andrew Benson's article as one of a number of sources for this article (hardly a secret, I link to the very article in the Lewis Hamilton section), and it was indeed this article that I sourced the information on Mark Webber that you quote. The similarity of some of the language was unintentional (e.g. 'relish', 'ruffling feathers') so I apologise for that. I guess it must have worked at a subconscious level. 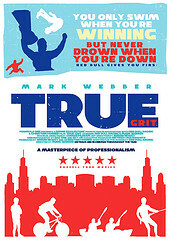 I would never plagiarise from anywhere, it's not what I'm trying to achieve on this blog. Obviously, all the information included is sourced from somewhere (unfortunately, as I don't have paddock accreditation I can't rely much on 'inside information'). I do provide links or mentions to sources where I feel appropriate, but as you'll know it's not usual for any such article like these to provide a comprehensive list of sources as you'd find in academic articles. For the sake of clarity, it's in the Sebastian Vettel section above that I provide a link to the Andrew Benson article, not in the Lewis Hamilton section. My mistake. How interesting that someone is saying "man up and take responsibility" while signing on as an anoymous user! Interesting suggestion on Heikki Kovalainen for the Ferrari drive. He's been impressive at Caterham/Lotus, though I always feel it hard to judge *exactly* how good he's been there, as he's in a bit of a competitive vacuum (far ahead of Marussia and HRT but far off the back of the midfield), so his only yardstick is his team mates, who admittedly he's almost always blown away. Nevertheless, I suspect Ferrari will, for these reasons, see taking on Kova as a bit of a risk. Also, on Nico Rosebrg, his name was linked with Ferrari last year but he signed a 'multi year' deal with Mercedes at the end of last year, so I can't see him going to Ferrari for 2013 as the team won't want to spend millions buying out his contract (of course, if Mercedes pull out of the sport then all bets are off). A driver who was rarely mentionned as a potential Massa replacement but (I think) would be a good fit is Kobayashi. He is more experienced than Perez, has been rather more consistent this year, faster on occasions but (probably) not to the point where he would overshadow Alonso. Plus, he seems good-natured and easy to manage and does not have anything to lose leaving Sauber except maybe for the family feel. Finally, I think his character on track would make him an instant tiffosi idol! In my mind the only real contenders for the seat are Massa, Webber and Perez. Massa is the safe option, Webber the stop-gap for either Vettel or Perez in 2014. If Hamilton were to end up at Ferrari I'd be immensely surprised. You mentioned it being hard to picture Vettel at any other team; I feel it is the same situation for Lewis. He may be linked to Red Bull, Mercedes, Ferrari and the like but it seems to me that Mclaren is the only team that fits him; moving anywhere else wouldn't do him a lot of good. I'd love to see Webber at Ferrari though. I've got my fingers crossed for that to transpire.